We are so excited. And I mean sooo excited to finally let you know what we’ve been up to recently! 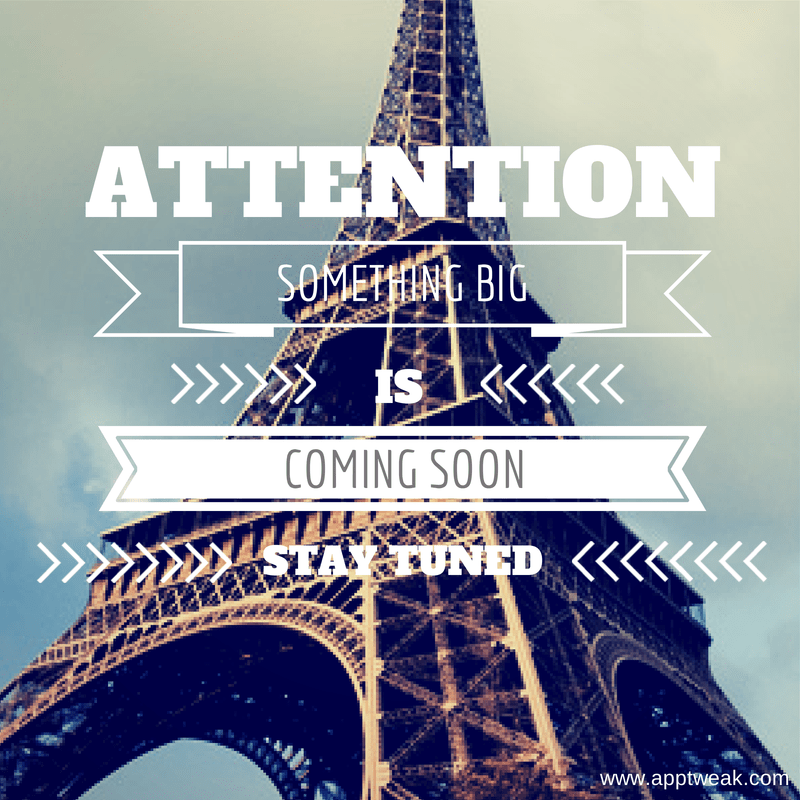 Actually… The AppTweak Team has been working very hard to provide you with a unique keywords feature! Not only we’ve redesigned the entire tool, we’ve also created our homemade native dictionary. More explanations below. Some of you might have seen our little teasing on various social media _(see picture above) _announcing that AppTweak was up to something “big”. We asked you to guess what it could be and told you that there was a clue in the picture. Many thanks to those who participated and shot some interesting and/or funny guesses. @AppTweak @StefanBielau @iRumeurs @Donatien @AlexJubien Are you making it easier to find the Eiffel Tower? @thibautR @AppTweak @StefanBielau @iRumeurs @Donatien @AlexJubien Ice bucket challenge from the Eiffel Tower? @AppTweak @thibautR @iRumeurs @Donatien @AlexJubien French office? Well, you all recognized the Eiffel Tower (well done! ), which in this case represents France. Why France? Because we’ve been focusing on… French keywords! That’s also why the second hint was “Words are the key” = keywords. I know, we’re good at this, right? Last month, we’ve released a new version of our Keywords Tool, remember? We introduced you our new functionalities: Top Keywords, Keywords Analysis, Keywords Position and Keywords Rankings. These were only available for English keywords in the United States. Well, today, not only these features have improved but also the whole Keywords section has entirely been redesigned. Most importantly: more countries and more languages have been added. English Keywords for ALL 60 countries present on AppTweak. French Keywords for ALL French-speaking countries present on AppTweak: France, Canada, Belgium, Luxembourg and Switzerland. Dutch Keywords for Belgium and The Netherlands. But that’s not it. That would not be “big” enough, right? The best thing about these keywords is that they are actually optimized for each language. 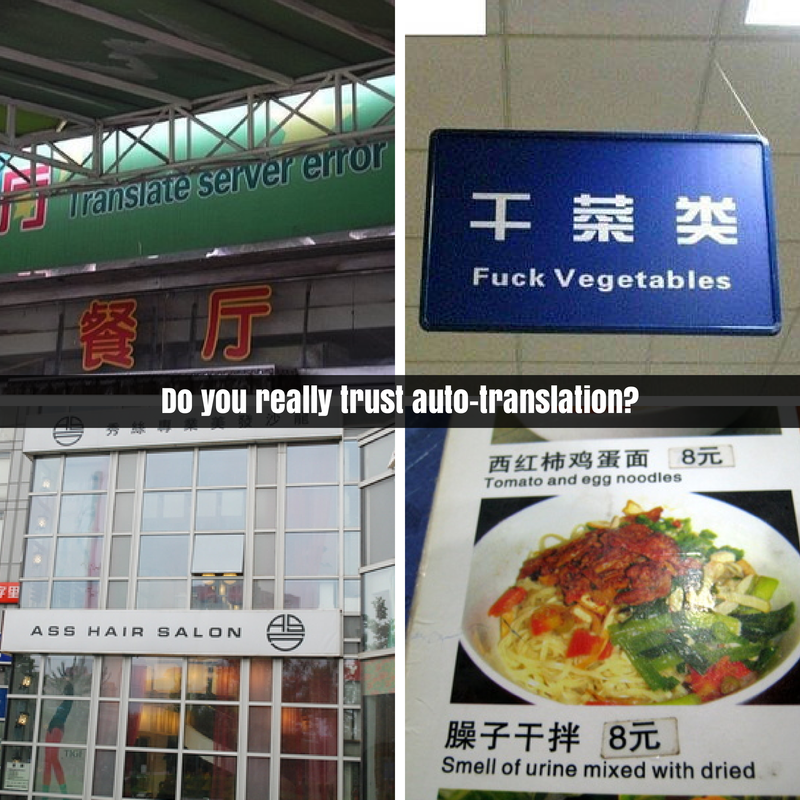 In other words, they are not auto-translated keywords! The keywords we provide are actually words coming from our native dictionary that we built meticulously. We also integrated misspelled keywords that people usually type in the App Store Search. Using robots or Google Translation to translate your keywords is a very bad option, although it certainly seems appealing at first. However, by using these techniques, you won’t get optimized keywords. Worse, you may get totally useless and meaningless keywords. Actually, we wanted to benefit from our European position to stand out from our competitors and provide native and genuine keywords in more languages rather than using auto-translation. Since we have a lot of French-speaking users and because French is our mother tongue, we prioritized our work on this language (after English of course). Dutch is our second national language so we chose this one too. However, in the next future, we’ll add German, Spanish, Italian and Portuguese. And then more… and more! Our native dictionaries are not static. Every day, we improve our keywords according to the new trends and the new results. The App Store is evolving fast and is constantly subject to new rankings trends. It is therefore crucial to move along with these changes and to follow the flow. We’re committed to improve our Keywords tool everyday. 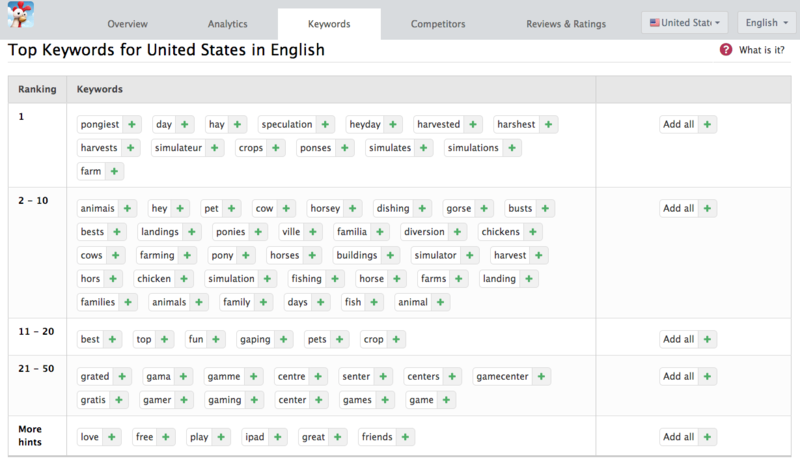 This table is showing you many keywords that bring your app to rank 1 - 50 for United States in English. Note that misspelled words are taken into account e.g: “senter” (for “center); “gamme” (for “game”); etc. These are important to take into account since people often type in too fast and make some mistake in their Search queries. If you change the language and the country, for example here France and French, you’ll get the same table but with optimized french keywords. It is therefore very interesting if you want to monitor your competitors’ keywords and see what keywords are ranking them. These not the translated words from the English version. They’re native optimized keywords. If you click on the green “+”, you’ll directly add this keyword to your analysis table and see its Ranking, Volume, Competition and Relevancy volume. No need to “follow” the keywords anymore. If you need more explanations about these, refer to this blog post. Then, as usual, you’ll be able to see them on our 4 quadrants graph. You can add as much keywords as you want and monitor their position. You can also see their rankings history in time. Since app localization is extremely important in ASO, we wanted to encourage you to localize your app (title, description, screenshot, etc.) for each language of your market. AppTweak will therefore display your app in the corresponding language. In other words, if your app is available both in French and English, we’ll display it like it would be distributed on both App Stores. If your app title, description and screenshots are in French, we will display them in French. This will allow you to check your app - as well as your competitors’ - and check their various versions. See if they’ve translated their app or not and where they chose to do it. We thought you might want to download the keywords tables we’re displaying on AppTweak. It is now possible for you to export them to Excel! How cool does that sound? There’s something else we need to announce you. From now on, AppTweak is now going to be on a freemium model. Don’t worry, it will stay – and always will – available for free. However, you will need to upgrade your plan if you want to access more Instant App Marketing Reports or features. AppTweak has been free and entirely free since its launch in August 2013. We’ve been working hard to provide an easy-to-use and intuitive App Marketing platform. One year later, it is now time to move forward a little bit in order to find ways to afford the further development of new awesome features. The lifetime free plan allows you to check out 1 ASO Report for 1 user. You can analyze 1 competitor and 5 keywords. You’ll benefit from a 24h support by mail as well. The Startup plan allows you to check an unlimited number of ASO Reports and to use the same account for 3 different users (or email addresses). You get to analyze 15 competitors, 100 keywords and of course benefit from 24h email support. If the Startup plan is not big enough, you can upgrade to the Corporate plan allowing you to use AppTweak for up to 10 different users, 100 competitors and 700 keywords. You’ll also get 12h email support. Finally, if these plans do not meet your expectations or if you just need more, simply contact us and we’ll work together to customize the best plan for you and your company. You can try any plan for free during 14 days, with no risk. You can of course cancel your subscription anytime you wish. Note that we offer 2 months free if you subscribe to a yearly payment. We really wanted to thank you for your big support. It really means a lot to us as we always seek to help you as much as we can in your app business. We hope that you’ll continue this incredible adventure with us. Please, as usual, do not hesitate to contact us for any questions or if you have any suggestions. AppTweak would not be what it is today without all your feedback. We really hope that you’ll enjoy the New AppTweak! Let us know your impressions in the comments below. Thanks!